So you can do the Bruce test to know your maximum oxygen consumption or VO2 max – What It Is? A few days ago we talked about how music in training can help us run more kilometers, according to a study in which the Bruce test was used. And surely many of you had never heard of this test ever: perhaps others sound more like the test of the course navette (the test of the beeps) or the Cooper test , which are usually part of our usual training. Today we explain how the Bruce test is performed, an incremental protocol that is normally part of the effort tests performed on athletes and that helps us determine our maximum oxygen consumption , which gives us an idea of ​​our state of way as athletes. 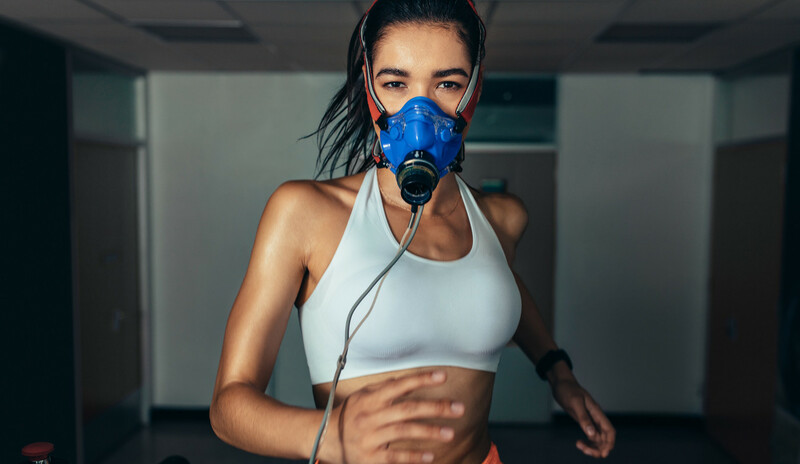 The Bruce test, as we said, is one of the tests that are usually done during a stress test for athletes , and that will help us to know our maximum oxygen consumption or VO2max , an important parameter that, in addition to informing us of our state in a way, it can also be useful when defining our training zones . The Bruce test is carried out on a treadmill or treadmill and lasts a maximum of 21 minutes in which the runner is always monitored with an electrocardiogram and a blood pressure measurement. As you can see, each stage has a duration of three minutes , and in each of them the speed and the inclination of the tape are raised, so that the exercise becomes more difficult. In the case of wanting to perform the modified Bruce test, two more lower intensity (also three minutes long each) are added to the stages we have named before: the first one with speed of 2.7 kms / hour and without tilt, and the second with speed of 2.7 and inclination of 5%. The test ends when the athlete can not keep pace with the stage he is in. When finalizing we must aim the total time that we have been on the tape.